An extraordinary concert event that brought together 3 towering figures of progressive space rock onto one Los Angeles stage for the first time ever! SKU: 8809. Categories: Cleopatra, DVD, Progressive, Rock. Performances from ‘60s art rock heroes Nektar, seminal Hawkwind guitarist Huw Lloyd-Langton, and pioneering electronic outfit Brainticket! Beautifully captured on 2 DVDs with crystal clear video and audio, these performances leap off the screen with psychedelic images courtesy of lighting technician Jim Lascko! 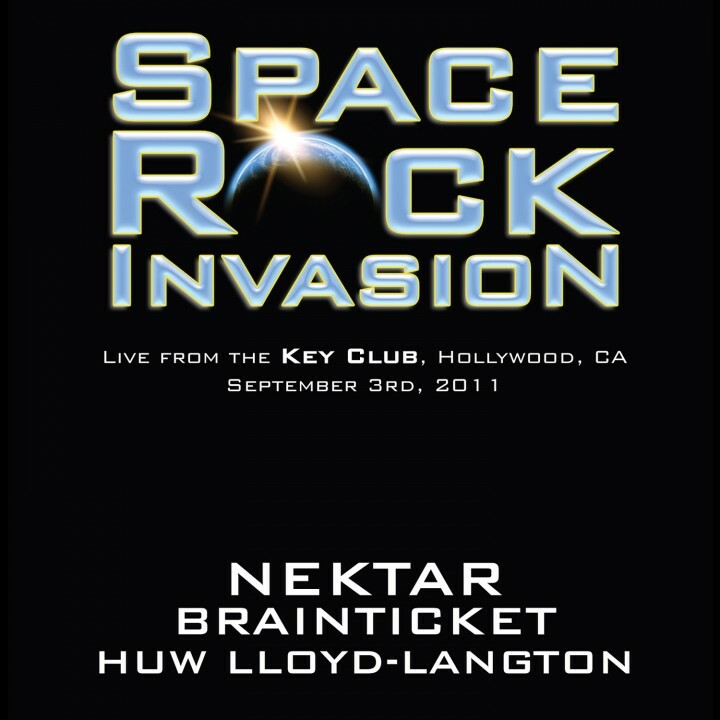 On a September weekend on Hollywood’s Sunset strip, three legendary acts from Europe’s ‘70s-era experimental rock explosion – NEKTAR, BRAINTICKET and HUW-LLOYD LANGTON (formerly of HAWKWIND) – put on a 3 hour concert at the world famous Key Club. It was the final performance of a once-in-a-lifetime U.S. summer tour, dubbed the “Space Rock Invasion Tour,” which saw our heroes visit seven states in a little over two weeks’ time. With a stage-lighting show right out of the Psychedelic era, lighting technician-extraordinaire Jim Lascko painted a glorious background of visual effects behind each performer, creating an aura and vibe that begged to be shared with Space Rock fans worldwide via this special edition 2 Disc DVD release. As an extra bonus value for collectors, exclusive interviews with each of the artists backstage on concert day are included.